Luxury Limousine and Eugene Party Bus Service…Oregon Wine Tours…Corporate and Airport Transportation – Premium Eugene Limo Service for any Occasion! Sunshine Limo Service & Wine Tours is Eugene Oregon’s premium provider of limousine and Party Bus service. Whether it’s an Oregon wine tour in our Limo Party Bus, a wedding limo to pamper the bride, a birthday limo scavenger hunt, or airport or corporate transportation in a luxury SUV or sedan we are your Eugene limousine and Party Bus service! We make every effort to provide you, our clients, with a truly unique limousine experience. We go far beyond just driving you around town. Try one of our exciting packages designed to make your Eugene limo experience truly memorable, ranging from a wedding limo package, limo Christmas light tour, or scavenger hunt limo to a Quinceañera or Prom limo – and much more. We also specialize in luxury Eugene Airport transportation, corporate car service, Bandon Dunes Golf transportation, and Eugene Party Bus service. 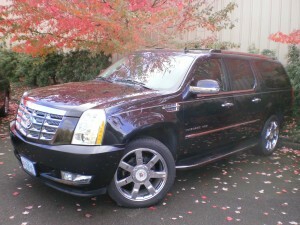 Visit Oregon’s beautiful wine country in comfort and style! 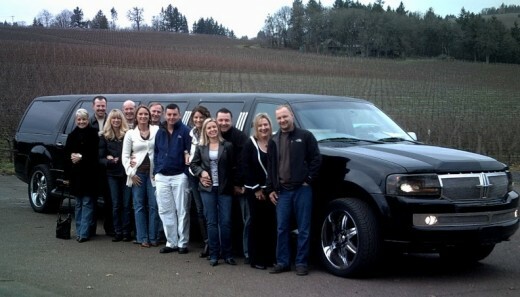 Sunshine Limo Service is your choice for Oregon wine tours. 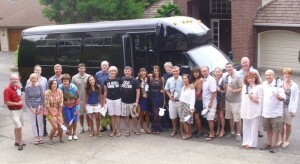 We are a premium limousine and Party Bus service that also specializes in Oregon wine tours – the best of both worlds! We offer Eugene wine tours as well as wine tours in Dundee and Newberg, Umpqua Valley wine tours, and Salem and Corvallis wine tours. Check out our Oregon Wine Tour page for more info on limo and Eugene Party Bus wine tours. We offer top shelf airport and corporate car service with Eugene’s latest model fleet of Cadillac Escalades and sedans – including our 2015 Cadillac XTS-L sedans, Eugene’s only true airport limo. 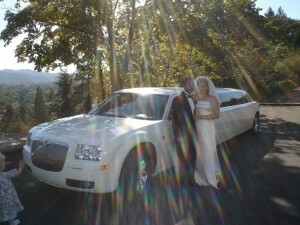 We also offer Lane County’s nicest limousine bus for larger parties. Call us for Eugene airport transportation or Portland airport transportation. Let our staff of experienced, professional chauffeurs and travel coordinators take the hassle out of your ground transportation needs! Some occasions call for nothing but the best in transportation service. Sunshine Limo Service knows that special events like Weddings, Proms, and Quinceañeras are once in a lifetime events and the limousine you choose is a critical element of your big day. Trust us to provide the perfect limo, driven by a trained, formally attired chauffeur to help make your occasion the best it can be! The best Eugene limousine service is now the best Eugene Party Bus service too! Why rent your Party Bus from a “fly by night” operator that converted an old school bus in his backyard when you can go with a top shelf limousine service that can offer first class, professional Party Bus service instead? Our 24 passenger (22 seated) Limo Party Bus is good times on wheels, and is available for your night out, Oregon wine tour, bachelor party, or any occasion. Call for Eugene Party Bus specials!